A massive thank you to everyone who entered our Freebie Friday this weekend. This week we were giving away a baby lullaby dream light projector work £24.99! This advanced and clever addition to your baby’s crib will respond to your baby’s cues and sooth them back to sleep with nature sounds, soothing melodies and songs. The gentle lighting projects stars onto the ceiling creating a calming and restful environment for your baby to relax in and settle off to sleep. We had almost 200 entires but of course only one winner can be chosen! And the winner is… “sarahOnash1988” Congratulations! Please send us a message to organise claiming your prize. A huge thank you to everyone that entered. We appreciate every single response! 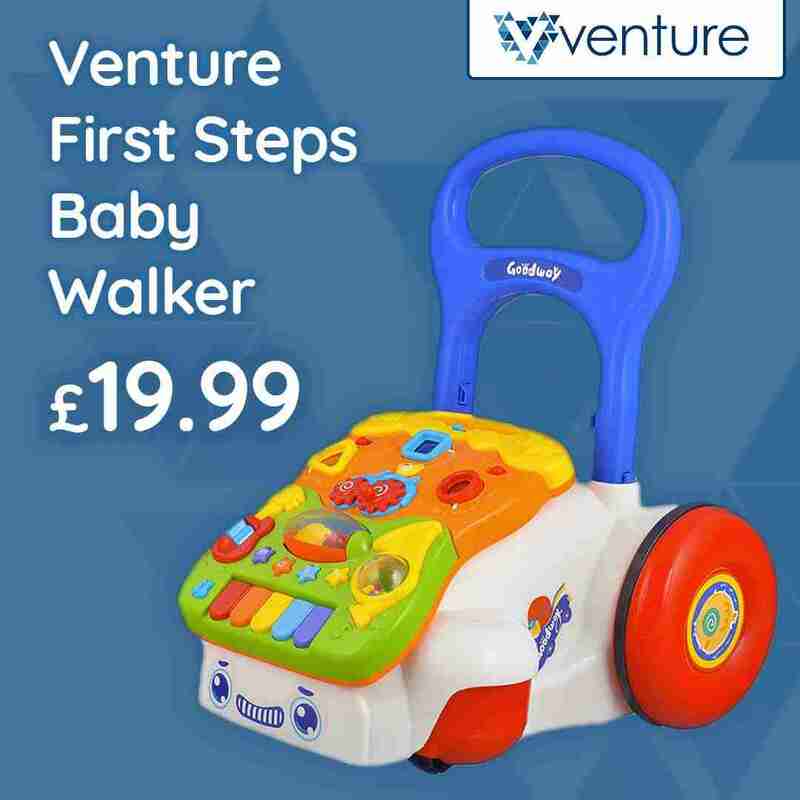 Don’t forget we have an amazing 50% off the Venture First Steps baby walker. An ideal Christmas present for your little one as they become more mobile. We also have FREE UK shipping on orders over £19.99.